There is nothing better than finding some great deals online or from your favorite local boutique. 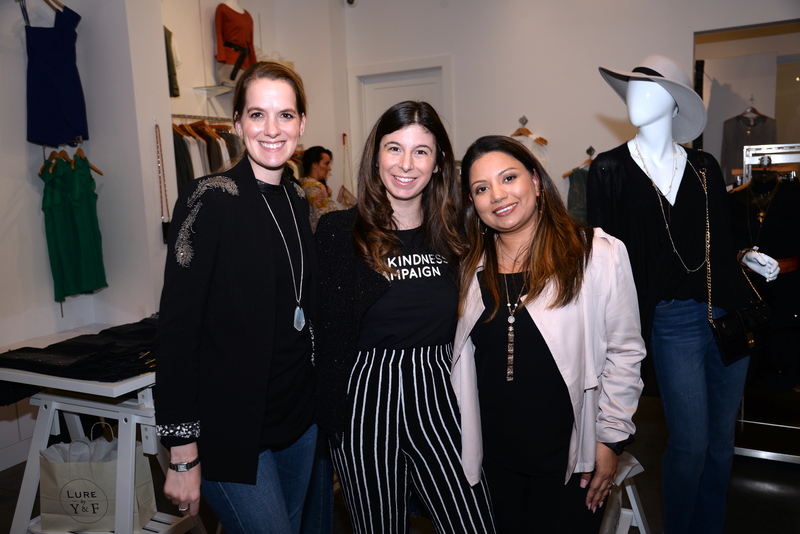 The pre-Austin Fashion Week runway show festivities included several online fashion buying opportunities from some amazing vendors with partial proceeds to benefit The Kindness Campaign. 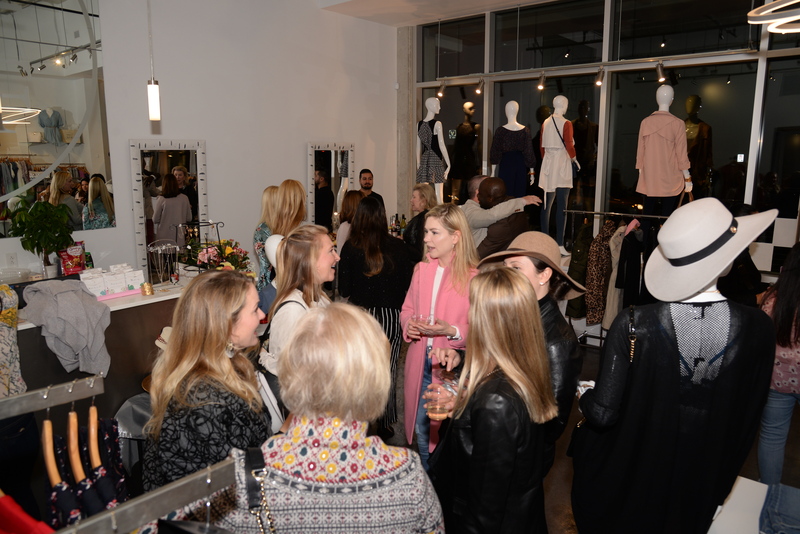 A few instore gatherings set the tone to get everyone excited about the exciting runway shows. The Kindness Campaign was founded by Andra Liemandt of the all-female band The Mrs in 2015. The organization gives a voice to all young people who want to stop the cycle of bullying. Their core message is “I am enough”. “It’s all about human connection and self-image and loving yourself”, said Kimberly Skinner, Sr. Curriculum and Programs Manager for The Kindness Campaign. Andra was asked to be a part of AFW and thought it was a good match to help spread the word about their platform. “Kindness is beauty and kindness is fashion”, Skinner added. Learn more about LURE by Y&F and its founder Saffina. 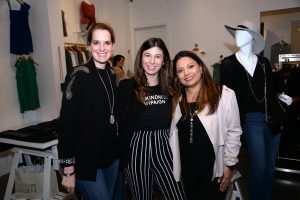 Local stores Theory, LURE by Y&F, Sandro and Maje hosted small and intimate gatherings with light food and bubbles with a fashionable group mingling and shopping new Spring trends to benefit the cause. It was a nice way to reconnect with some old fashion friends and start Austin Fashion Week in style!! Hope to see you all at the end the runway for the big fashion shows. Fashionably Austin will be there to cover all the collections and you don’t want to see some of Austin’s great Fashion Week street style. Yeah, we have that here! « Austin Fashion Week Season 11 Kicks off This Week!